I decided to combine two video tutorials to make one scarf. The first one I used was the Martha Stewart ribbed double knit videos and then (my goal was to) finish it with an i-cord and button. 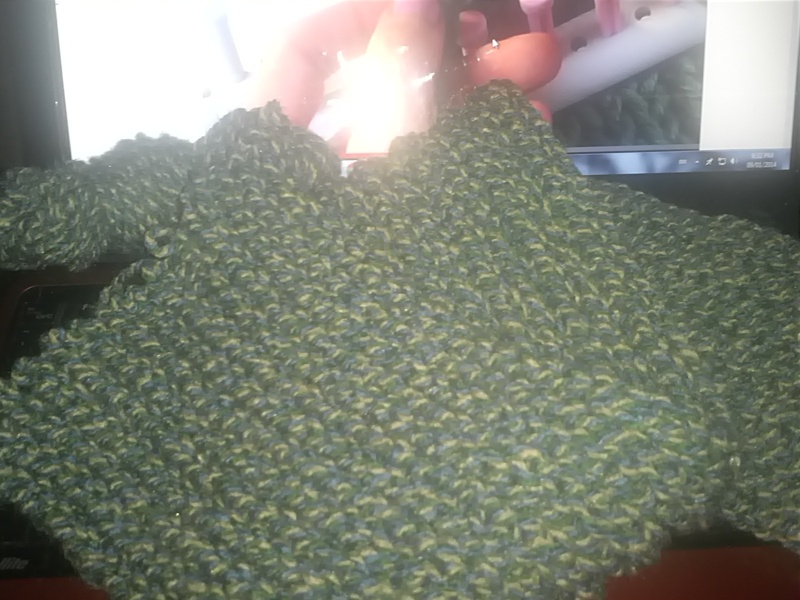 I had two skeins of a green with a yellow twist yarn that I got from Value Village. It’s 100% acrylic, made in France and the brand is féria. When I went to cast off, I made a mistake and ended up messing up the stitches and couldn’t get them back on the pegs correctly, so I will redo the scarf and then finish it with the i-cord and button. Here are the videos I used. If you like to follow by reading along a pattern, here is the kink to the original neck warmer with an i-cord and button closure article. This article is for the closure only and not the nifty stitch. This entry was posted in Loom knitting, Martha Stewart Loom, Projects, Tutorials and tagged double knitting, loom knitting, scarf, yarn. Bookmark the permalink.